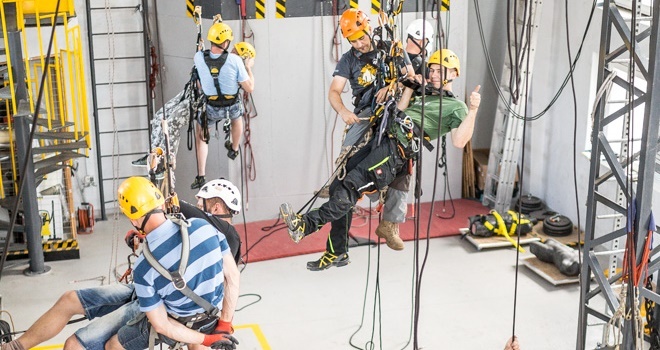 The Organisation of Rope Access Technicians (OTDL) was established to standardise the training courses for works at height in Poland. It was a response to the need of the companies to train the workers in line with uniform and well-thought programmes as well as to verify their skills properly. After several years on Polish market, the OTDL certificate has gained in popularity. The IRATA or SPRAT certificate is still more frequently required abroad. However, in Poland, OTDL is becoming equally important. More and more people planning to work in Poland decide to undergo the OTDL certification. TRAINING CENTREThere are only a few centres conducting training courses in the OTDL system. CSW TOTEM supports the Polish certification system, also as a sponsor of the OTDL CUP – the national contest for rope access technicians. TRAINERSThe history of CSW TOTEM is written by the best trainers for works at height in Poland. They are specialists and they know the industry from the practical point of view. You will get their knowledge, experience and contacts. CERTIFICATEThe OTDL certificate is issued in Polish, directly by the OTDL office. The trainee receives the certificate, card and logbook via mail. VALIDITY PERIODThe OTDL certificate is valid for 3 years. You need to refresh the training in order not to lose the license and opportunity to take up the higher-level training. The OTDL system is divided into three levels, informally called P1, P2, P3 . Trainees begin with the 1st level, which can be refreshed, or they upgrade to the next level. The OTDL training lasts 4 days + 1 day for the exam (about 8 hours a day). The exam is conducted by an external examiner, who arrives to the training centre. Both the training and the assessment consist of the practical and theoretical part. The IRATA and OTDL training is almost the same. This is why both certificates are usually equally recognised. The detailed scope of the training and certification rules are described in the OTDL documents. 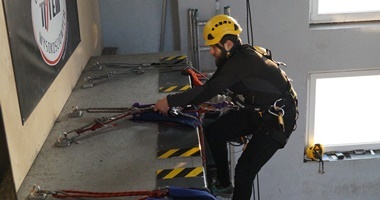 At this level, a worker is able to perform rope access operations (vertical and horizontal rope access techniques) individually. The technician has basic knowledge about rigging and rescue operations. According to the OTDL system, they should work under supervision of P2. 18 years of age, no medical restrictions for working at height. Prior to the commencement of the training, the trainees sign a declaration that there are no contraindications. The working experience is not required. At this level, a worker has knowledge and skills to perform the full scope of rope access operations, prepare the rigging, takes part in rescue operations, supervises the works and takes full responsibility for the executed works. The specialist has complex knowledge related to the hauling systems. Minimum 12 months experience at P1 and 1000 hours logged from the moment of passing the first OTDL exam (the hours are registered in the logbook received once the first OTDL assessment is passed). 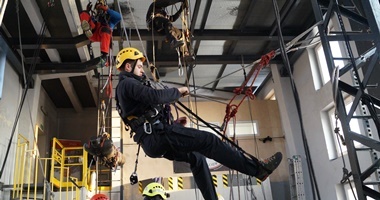 At this level, a worker is authorised to conduct rope access training courses at all levels. 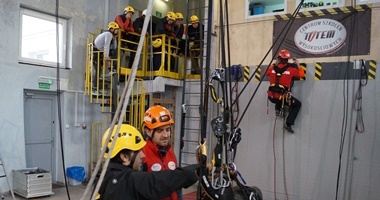 The supervisor presents full knowledge and skills attributable to the 1st, 2nd and 3rd level, has complex knowledge about advanced rescue techniques, legislation and the OTDL certification system. Minimum 12 months of experience at P2 and 1000 hours logged from the moment of passing the P2 OTDL exam (hours recorded in the logbook). Additionally, the first aid course completed up to 2 years before taking up the OTDL training is required. 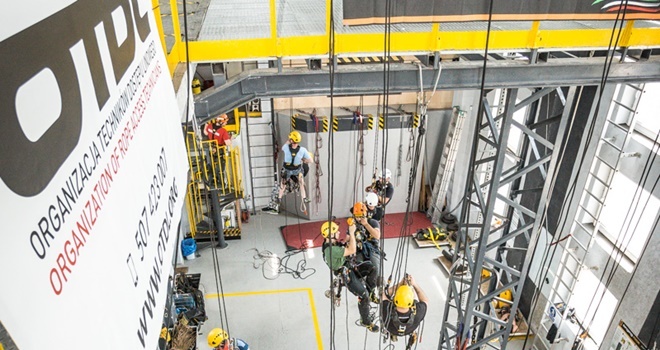 The direct entry system allows the people with great experience in rope access operations to receive a certificate of the 2nd or 3rd level, without the need to pass the P1 exam. The system consists of several steps: preparation of the application confirming the experience and its acceptance by the OTDL commission, training and passing the exams. minimum 2000 hours worked using rope access techniques within at least 36 months of regular work, counting from the first course preparing to work at height using rope access techniques. The OTDL direct entry procedures.